If you are searching for a long-sleeve breastfeeding top, we can recommend the top-selling Pompeian Red Kaj nursing top from Carriwell? It is perfect for casual wear, but is also smart enough to be worn on any evenings out too! So what makes this long-sleeved nursing top such a best seller? We think you will find that it will flatter your curves, and it should also allow you to simply and discreetly breastfeed your baby. It's also machine washable - critical when dealing with either spilt milk or dribbles! You should also get plenty of life from this feeding top – even if you buy it early on in your pregnancy. It features pintucks beneath the bust and plenty of stretch in the fabric. 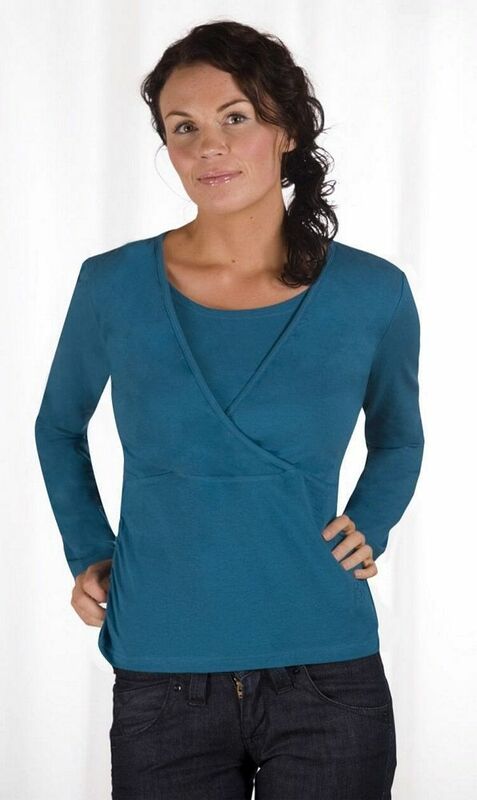 The Kaj long-sleeved nursing top also has sides that are ruched. This top is also available in Black or Petrol Blue too...see below for these options. How does the nursing function work? The wrap access makes feeding your baby really easy. Just pull the top panel of the V to the right or left, then drop down your nursing bra and latch on your baby! It's really easy, even with just one free hand. Neither your tummy or back are exposed when you are feeding due to the design of the wrap. You should find it really comfortable thanks to the super soft stretch fabric. It's constructed from 92% cotton and 8% Elastane (this is where the stretchy-bit comes from!). You can even wear it after you have finished breastfeeding, as the nursing feature is totally invisible! 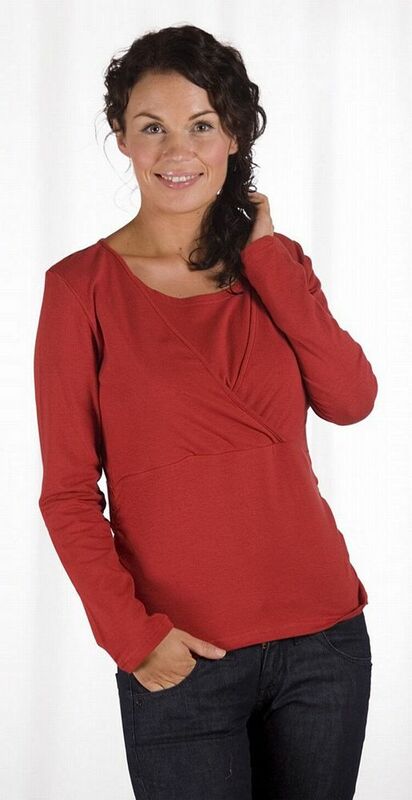 Why would we recommend the Carriwell Pompeian Red Kaj long-sleeved nursing top? Well, we think you will find it really comfortable, very easy to use and it is exceptionally discreet too. A really nice choice.